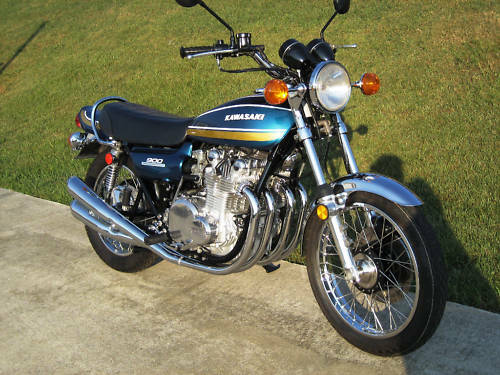 The 1975 model Kawasaki Z1B was first produced in June of 1974. 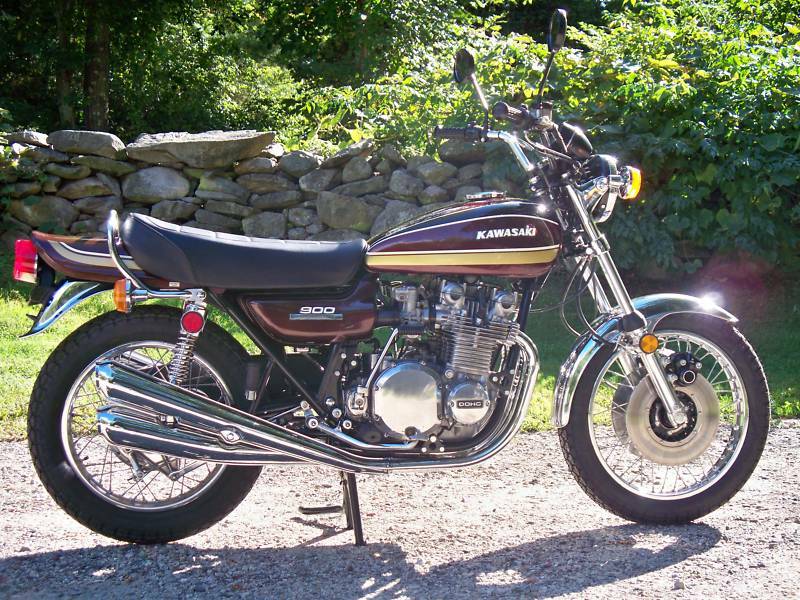 The styling of the Z1B was basically the same as the Z1 and Z1A, however, again, there were several changes. The Z1B was produced in two completely new colour schemes: Candy Super Red and Candy Super Blue. Unlike the Z1 and Z1A, the Z1B had the same colour stripes for both colour schemes. 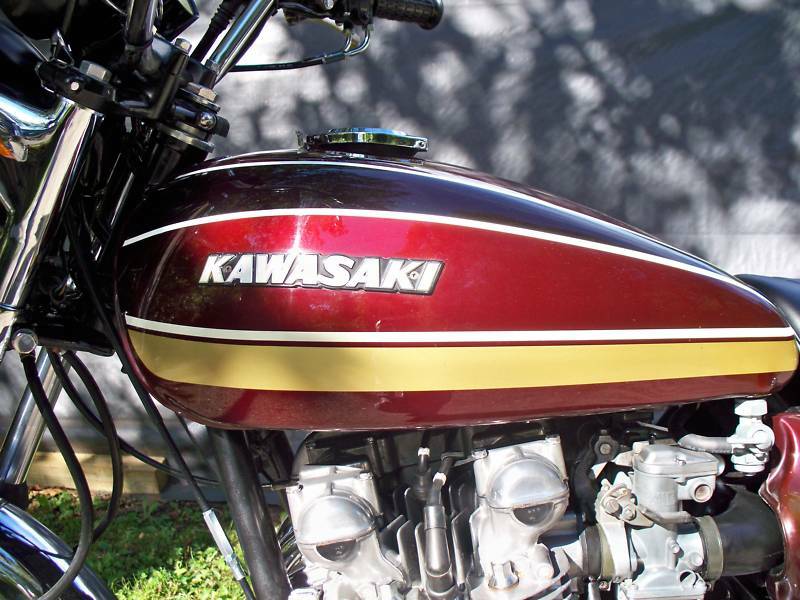 Kawasaki did not refer to the colour of the stripes in their colour scheme descriptions for the Z1B. Above: Z1B in Candy Super Red with optional twin front disc brakes. Below: Z1B in Candy Tone Blue. A broad gold stripe, with a thin white stripe above it, ran along the bottom of the fuel tank and continued along the tailpiece curving upwards at the rear of the tailpiece, but not actually going over the top of the tailpiece as with the original Z1. On each side of the fuel tank above the KAWASAKI badge was a black stripe, broader at the front of the tank than at the rear. This stripe was edged at the top and bottom with a narrow white stripe. The KAWASAKI badges on the fuel tank were the same 180mm long items as those on the Z1A. As on the Z1 and Z1A, the side panels were finished in the base colour. The design of the side panel badges had now changed. Each number of the 900 part of the badge was now in white with a chrome surround and was in a larger and different font. The DOUBLE OVERHEAD CAMSHAFT legend was now in black lettering inset into an alloy background. 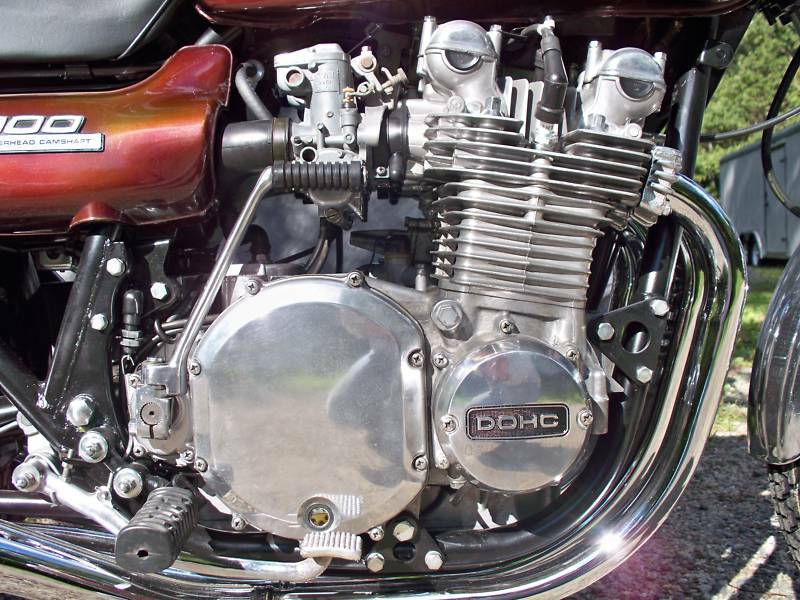 The engine of the Z1B was produced in a bare aluminium finish as with the Z1A. The Z1B instruments were similar to the earlier Z1A. As on the Z1A, the descriptors were, from left to right, TURN, NEUTRAL, HIGH BEAM and OIL. The 'STOP LAMP' feature remained. 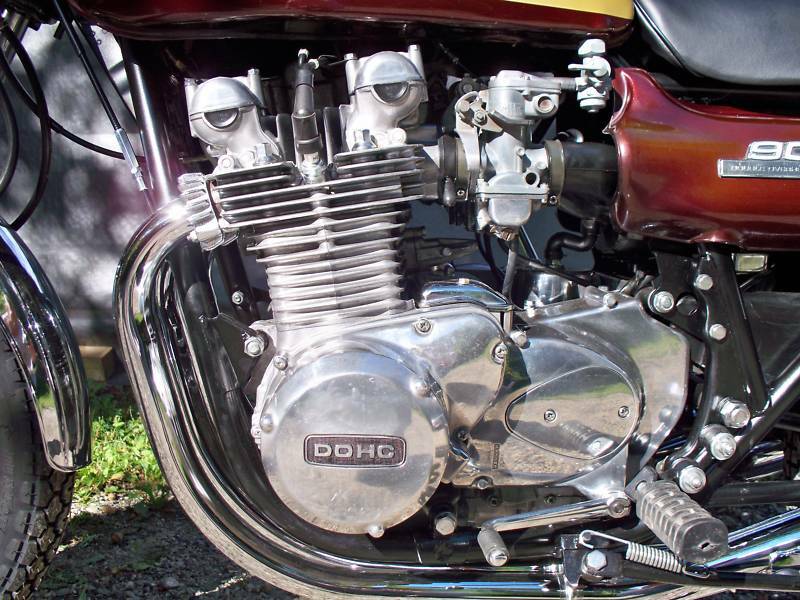 The five speed gearbox remained, however, the Z1B was fitted with a self lubricating O-Ring chain which meant that Kawasaki were able to discontinue the drive chain lubrication system fitted to Z1 and Z1A models. The design of some components had to be modified to accept the slightly wider chain. US models of the Z1 and Z1A had always had folding riders footrests whereas the UK models had fixed footrests. This changed with the Z1B and all riders footrests were now of the folding type. Kawasaki offered a lower handlebar option on UK models of the Z1B, however, this did not really prove to be very popular, with most customers opting for the traditional 'sit up and beg' type.